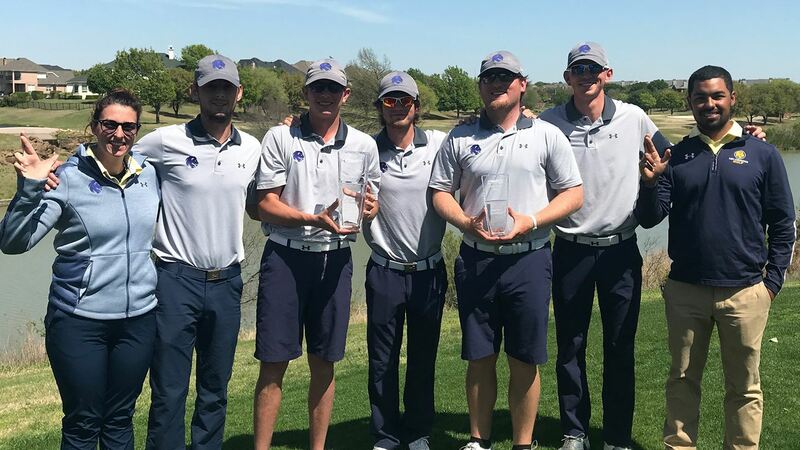 Lions, McCubbin claim championships at DBU Patriot Classic. IRVING – The Texas A&M University-Commerce men’s golf team carded its best round since September and picked up its first win of the season, cruising to a 13-stroke victory at the Dallas Baptist Patriot Classic on Tuesday. Senior Lucas McCubbin was the individual champion, leading three Lions in the top 10 on the leaderboard. The Lions shot a 4-under par 284 in Tuesday’s round on the way to a 54-hole total of 885 (299-302-284, +21) for their best score on a par 72 course this season.”We started the day off steady, and it just got better and better throughout the day,” said assistant coach Lauren Mason. “Being seven shots off the lead going into today and finishing a clear 13 shots ahead when we ended shows just how good this team can be. They had their foot on the accelerator and didn’t take it off. This win is a great confidence booster heading into our last tournament of the spring before the postseason. McCubbin (Midland) shot an even-par 72 on Tuesday and finished with a score of 215 (-1, 70-73-72) to win by four strokes over St. Edward’s Ben Constancio. He had three birdies in Tuesday’s round and a total of 13 birdies in the tournament. The win is his second top-five finish of the season, third top 10 finish of the year, and first tournament win as a Lion. Zach Burch (Lubbock – Cooper) placed third at 4-over par after going 2-under par for a 70 on Tuesday with five birdies. 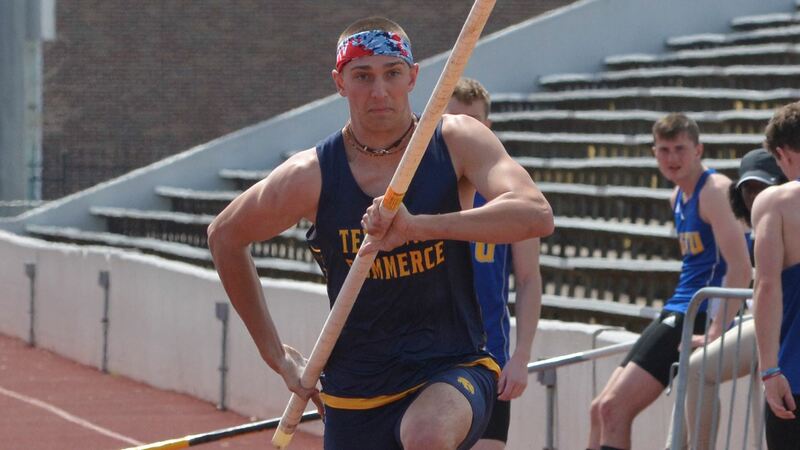 It marks Burch’s first top-five finish of the year and second top 10 placement. Blake Hartford (Spring – Klein Collins) placed sixth at 5-over par for the tournament (75-72-74, 221) for his second top 10 finish of the season. Joe Wolcik (Cleveland – Tarkington) had the top round of the day with a 4-under par 68, including an eagle and four birdies. He placed 25th at 229, and Jonathon Welch (League City – Clear Creek) placed 84th at 253 with a 75 in Tuesday’s round including a pair of birdies. It is the Lions’ penultimate regular-season tournament. They will close the regular season next Monday and Tuesday in Fort Smith, Ark., at the UAFS Hardscrabble Classic. Pair of top-five finishes pace Lions to runner-up honors at Henderson State Invitational. MOUNTAIN HOME, Ark. – A pair of top five individual finishes led the Texas A&M University-Commerce women’s golf team to a runner-up finish at the Henderson State Spring Invitational on Tuesday. The Lions claimed their eighth consecutive top-five finish of the season and second runner-up trophy with a team score of 901 (305-293-303, +37), finishing eight strokes behind tournament host and champion Henderson State. “It’s a great day to be a Lion. I’m pretty pleased with the way the ladies played today,” said head coach Matt Ward. “We were a little disappointed because we were hoping we could get the win, but we’ll take second place. It’s been a consistently solid season for these ladies. They’re getting more and more comfortable with being in contention and playing with good competition. They’re understanding what it takes to be a solid team in every event. Sarah Wongsinth (Udon Thani, Thailand) placed third on the individual leaderboard at 220 (76-70-74, +4) for her fourth top-five finish and seventh top 10 finish of the year in eight events. Paige-Lee Garris (West Palm Beach, Fla.) was one spot behind on the leaderboard in fourth at 222 (77-71-74, +6), earning her second top-five placement and third top 10 finish of the season. Lauren Bentley (League City – Clear Creek) placed 13th at 228 (75-74-79, +12), Makena Thomas (San Antonio – Reagan) placed 28th at 232 (77-78-77, +16), and Sophie-Charlott Hempel (Pirmasens, Germany) placed 39th at 239 (81-80-78, +23). The Lions play their final event of the regular season next Monday and Tuesday in Fort Smith, Ark., at the UAFS Hardscrabble Classic. The first NCAA regional rankings of the season will be released this Thursday.